A dedicated server is the Cadillac of hosting. It is the best alternative out there. You rent the entire server and you have full control over it. You do not share it with anyone else. You can decide exactly which operating system you want it to use, what modules that are to be installed and what settings the server is supposed to use. A dedicated server allows you to make sure that your website runs as well as possible. A dedicates server can run a very large website or a large number of smaller websites. It is up to you to decide how many websites you want to host on the server. If you want to you can chose to host thousands. You can also chose to sell hosting to others. There are many different types of dedicated servers and they can have very different specifications. There are very strong dedicated servers with lots of RAM, CPU:s and storage space and there are weaker dedicated servers that offer little more than an average VPS. This allows you to pick a dedicated server that suits your needs. 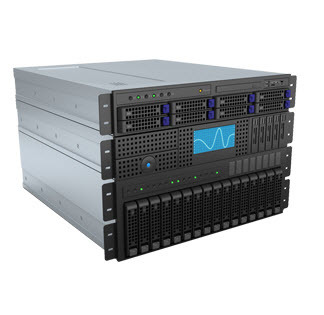 If you need a lot of resources you can chose an expensive top of the line server. If that is more then you need then you can chose a cheaper dedicated server that is enough for you. 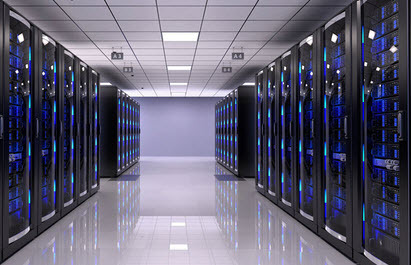 If you have a very large popular website then you might need several dedicated servers working together to run it. When you get a dedicates server you can chose to get a un-managed, semi managed or fully managed server. If you get an un-managed server then the host will not do anything except replace defective hardware. You are responsible for maintaining and configuring your server. If you chose semi-managed then the host takes care of some important tasks but you have to do the rest yourself. If you get a fully managed server then the host takes care of everything and it works like shared hosting. If you are uncertain about what to get and if you are not an experienced server manager then I recommend getting a fully managed server. An unmanaged server is cheaper but it is usually worth paying for a fully managed server. This is true even if you know how to do things yourself. You are not always going to be around to deal with problems but the host always have a technician working that can solve any issue that might arise. A fully managed server gives you peace of mind. You will also have to decide on whether you want to have a control panel for the server or if you want to control it directly. If you do not know what a control panel is then you should get it. The control panel is a graphical interface that allows you to control server functions, change settings, create and delete websites and a lot of other things. If you do not have a control panel then you need to do all this through text commands. I recommend that you chose to get a dedicated server with WHM/cPanel installed. This is the best control panel in my opinion and it is easily worth it price. It makes it very easy to create new accounts and install WordPress and other software on them. Plesk is another option that you can choose. Never chose a server without a control panel unless you are 100% sure you are up for it. It is true that a control panel will make your server a little bit more expensive but it is worth it since everything becomes easier and quicker to do. A dedicated server is a large investment but it is an investment that is worth doing if you have a growing website that earns a lot of money. By getting a dedicated server you take the fate into your own hands and you will no longer be affected by what other hosting clients do.